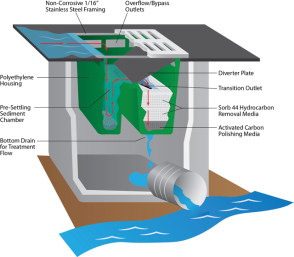 The dual chambered PIT BULL will attack your stormwater issues by providing multiple filtration options in one unit. 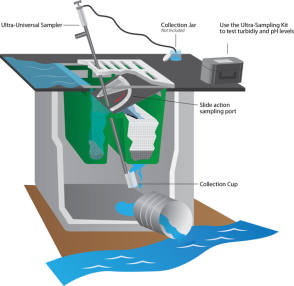 Sampling Option provides standard PIT BULL with modifications to allow Sample Collector to pull "post-treatment" water samples from below the unit's filters. Sample Collector has a 60" long handle, which makes collection quick and easy.